Whether you require a completely new website for your business or wish to revamp your existing one, our developers have the requisite experience and expertise to bring your vision to reality. As a leading WordPress web development agency in India, we ensure high quality and seamless coordination throughout the development and deployment phase. Our WordPress development services include custom theme design, custom plugin development, multisite and eCommerce solutions. Opt for our custom WordPress website design services to create an easy-to-manage, user-friendly website for your business. If you are on the lookout for WordPress developers in India, Webguru Infosystems can be your go to destination for all types of WordPress development solutions. The best thing about a WordPress website is that you need not have any prior technical knowledge to manage or format its content and features. Its easy to use interface allows you to focus on content and user experience instead of spending time on learning the technical coding. No wonder it has become the favourite CMS platform for building websites that are visited by millions. It is very easy to customize a WordPress website according to the brand specifics. WordPress allows customization of its style sheets (CSS) and template files to make every WordPress site a unique one. By editing functions.php the default WordPress features can also be altered to suit specific requirements.  Our WordPress developers from India are highly skilled for intricate customization of any WordPress website. The streamlined coding used in WordPress makes it easy for search engines to read and index any content. As a reliable WordPress website development company we ensure your website is optimized for search engines and made visible to your target customers. We do this through a skilful use of title tags, meta descriptions, and other features defined in the CMS platform. Plug-ins are distinct ready to use software modules that enhance the functionality of your website. So, instead of writing a separate program to add a specific functionality, WordPress’ repository of more than 10,000 plug-ins can help you in adding all types of functions. These can range from social media sharing and SEO to slide show of pictures, and many more. We are an ISO 9001:2015 certified company in India, well acclaimed for our unparalleled expertise in providing custom CMS web development services to our global clientele. Our WordPress website development services help you to leverage the rich yet innovative characteristics of the CMS platform. Our customised solutions make you to stand out in competition and be accessible to your customers. The many features and customisation options present in our dynamic website provide great UI and UX for your customers. These have a positive impact on increasing the user traffic and thereby helping your business to grow. As the competition heats up in the digital medium with scores of companies making their presence, it is better late than never for you to get a start. This is where our expertise and experience in custom WordPress development can help you in increasing your customer base and see your business grow. WordPress 4.7 is right around the corner and if you are feeling a little adventurous, you can try a beta version of the software using a WordPress Beta Tester plugin. Like other beta software, it might have some features which are still work in progress. It is an almost finalized software with a feature set nearly similar to what one can expect in the final release. Let’s go ahead and take a look at some of the functionalities worth looking forward to.